CampStaff has a new website! Exciting things are happening over at CampStaff. We have a new logo, a new staff member has joined the ranks and soon we will have a brand spanking new website. With our new website we endeavor to create a quick, simple and efficient database of prospective camp staff for the industry’s best camps to search through. CampStaff creates a free opportunity to contact some of the best camps located all over the country. 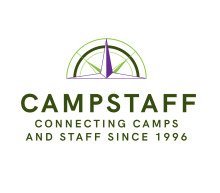 Camps from Vermont, New Hampshire, Maine, Massachusetts, Pennsylvania, Wisconsin, Michigan, California and states across the country use CampStaff to fill their seasonal positions of camp counselors, program specialists and leadership positions and they’re looking for people just like YOU!